Confused about where to start with launching your new website? Do words like hosting, domain names, HTML, CSS, and SEO all seem like a foreign language to you? If so, you don’t have to navigate the world of web design and website maintenance alone! As your web consultant, Kingdom Advantrix works along side you in developing a website that is more than just a pretty online space. Securing hosting for your new website. You can think of hosting as the house where you new site lives. Assistance in selecting the right domain name. Your domain name is like the street address of the house where your new website will live. Customizing your WordPress template with your unique header and your brand messaging. Keyword research and search engine optimization (SEO). Using good keywords and search engine optimization helps individuals find your site. WordPress offers you the ability to easily update and maintain your own website. It puts you back in the driver’s seat when it comes to your website. No longer do you have to wait for web designer or webmaster to make simple changes to your site. Genesis serves as a great foundation for WordPress websites because of it’s great features such as: search engine optimization, security, and customizable layouts. 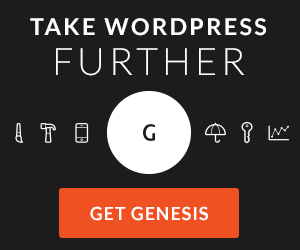 Discover why over 86,000 websites owners trust StudioPress’ Genesis Framework.